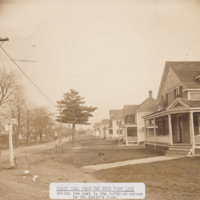 The small sign near the second telephone is an early traffic sign, "Motor Vehicles, Thickly Settled". Ben Smith's tomb is on the left (no longer there). 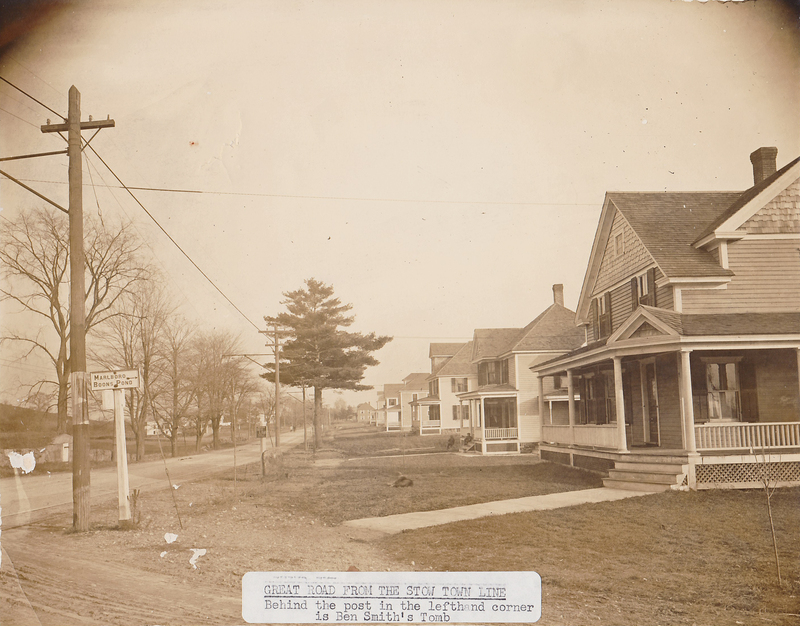 “The Maynard - Stow Town Line ca 1910,” Maynard Historical Society Archives, accessed April 23, 2019, http://collection.maynardhistory.org/items/show/4314.